KIGALI – The Rwandan government has described as unacceptable comments by Uganda’s ministers that the Kampala regimes hosts many Rwandans disguised as refugees, a setback to efforts by the two countries to mend relations. During a session of the East African Legislative Assembly in Kampala recently, the Minister of Relief and Disaster Preparedness, Eng Hillary Onek, referred to Rwanda as “a cup of porridge that is cold on top but too hot inside,” during a session of the East African Legislative Assembly (EALA). “These countries create a perception that they are peaceful yet their people are fleeing,” he added. Mr Musa Ecweru, the State Minister of Relief and Disaster Preparedness, also alleged that Uganda hosts many Rwandans disguised as refugees. “Most of them came when the present RPF government was in power. They are running away from the system that is in Kigali now,” Mr Ecweru told EALA members. Rwanda has not taken the comments lightly and pledged to address them with the Ugandan government. Rwanda State Minister of Foreign Affairs in charge of the East African Community Affairs Olivier Nduhungirehe last week said the government was yet to receive formal communication from Kampala regarding Rwandan refugees. “We are going to deal directly with the Ugandan government about the statements made by the ministers. Such statements are unacceptable,” said Mr Nduhungirehe. The development is a setback in efforts by the two countries to restore diplomatic tensions following a standoff over the management of nationals between the two countries. Recently, the Uganda government announced that 4,000 Rwandese will soon be deported back to their country, arguing that their country is now stable and they are no longer refugees. 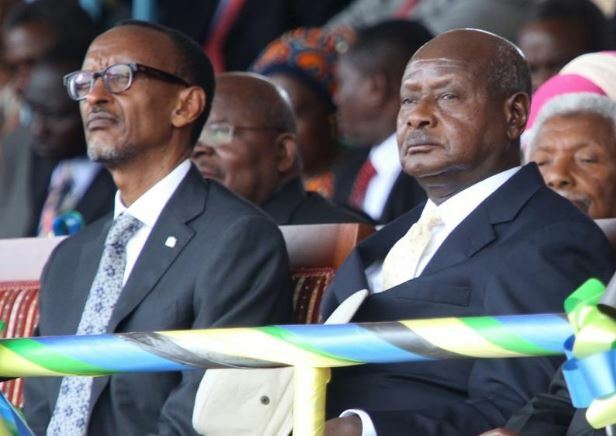 Whereas the earlier tension between the two neighbouring countries was defused following a meeting between President Museveni and his Rwanda counterpart Paul Kagame on March 25 in Kampala, tensions have remained. Uganda accuses Kigali of deploying spies in the country and infiltrating security organs. Uganda, on the other hand, intensified its crackdown on Rwandans it says are on espionage missions in Uganda. Foreign Affairs Minister Sam Kutesa, during his visit to Rwanda recently, is said to have delivered a response from President Yoweri Museveni to President Paul Kagame regarding the “problems” Kigali raised with Kampala.